There are 73 days left in 2015 and I have 77 episodes to watch! Hooray for Episode Dumps! This is the one where Harry and Tom are copied by some almost sentient silver goo and then the rest of the crew is also copied so the goo won't be lonely and then they leave their copies behind on a Demon Class planet. Demon is perfectly fine as a standalone episode. It's an intriguing, SciFi idea and I feel like this one is uniquely Voyager in that (without the support of Starfleet) Janeway sort of has to go along with everyone being copied whereas Picard never would have. My favorite thing about this one is that it leads to the later, heart-wrenching episode, Course: Oblivion. 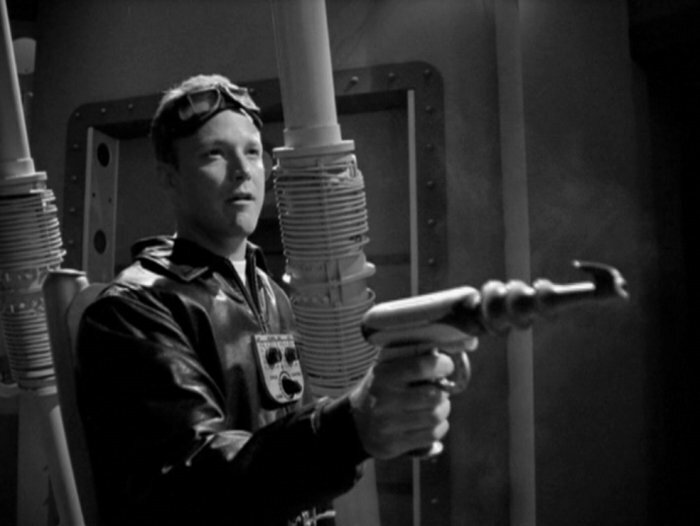 Voyager treks through a dangerous nebula that only Seven and The Doctor can withstand. Cut off from her new collective as the crew rests in stasis, Seven has to cope with her aloneness. It's an interesting episode but one that I always get mixed up both with the ENT clone, Doctor's Orders, and the later Voyager episode, Bliss, wherein Seven is a different kind of "alone." I prefer One to Doctor's Orders even though I love the rare comic moments T'Pol gets when she's freaking out over how to fix the ship's engines. 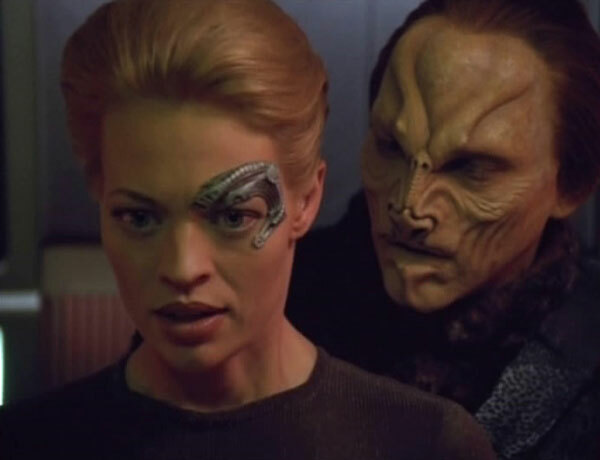 Jeri Ryan plays Seven's skittishness, her apprehensive desire to be among others, and her annoyance with The Doctor perfectly. And her hallucinatory enemy--Trajis--is just the right mix of snide, condescending, and creepy. This is the season four finale and I love that it's, for the most part, a quiet episode more about the emotional state of Voyager, her captain, and her crew, than explosions and battles. Janeway and Voyager are in a position no Starfleet ship and crew have ever been in. They're on a one-way trip and that means they don't usually have to face whatever they've left in their wake. Hope and Fear's Arturis does just that. His species had always eluded The Borg but they couldn't hold out forever. Species 8472 was their last hope for Borg annihilation but Janeway ruined all that and his culture was scattered and nearly destroyed. Hope and Fear is their revenge and it makes Janeway question her actions thus far. The season opener picks up pretty much where Hope and Fear left off. They're stuck in a nearly empty, starless bit of space and, without distraction, Janeway is left to wallow in her guilt. Tuvok actually states that, since stranding the crew in the Delta Quadrant, remorse has been her constant companion. 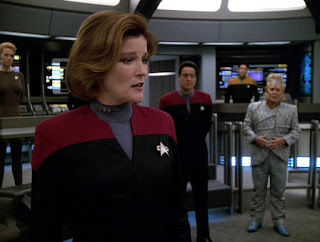 When presented with the option of helping an alien race, Janeway jumps at the chance to sacrifice herself so that her crew can move on and the aliens can rid themselves of a dangerous enemy. Of course, the crew won't stand for that. Like Hope and Fear, it's a powerfully quiet episode and a good reminder that, out here in the Delta Quadrant, without Starfleet's support and strength, there are no hard and fast rules. PS:Bonus Points to Night for the introduction of the Captain Proton holodeck program!